These are the cheapest light bulbs on the market, that’s for sure, but they’re also the worst for the environment, and your wallet. In fact, incandescent bulbs have already been banned in some countries like China and Canada, simply because they use up so much energy. These are the lightbulbs most people commonly think of — they have a capsule inside that holds gas around a wire filament to give off light. They get hot, they use a lot of energy, and the US is already taking steps to ban them. You might find them at the dollar store today, but you’ll pay an average of 6-7 dollars a year just to light one. CFLs are a more energy efficient option than incandescent bulbs. Essentially, these are much smaller versions of the long tube lights you might have in your garage, or that you’ve seen in schools. While they are fluorescent, you don’t need to worry about bad lighting: they’ve been updated in the past few years to give off a soft natural light, and most CFLs come in a variety of color options — from natural to bright white to a warm light. You’ll know CFLs as those spiral, curvy light bulbs, because essentially they’re those giant tube lights, just shrunk down into smaller tubes that curl into the shape of a traditional light bulb. CFLs aren’t that much more expensive to buy, but they do save a ton of energy when compared to incandescents. LEDs are by far the most energy option when it comes to light bulbs. Instead of converting gas into energy and light, LEDs convert electricity into light—called solid-state lighting. This means they’re far and away more energy efficient than any other option, but you will notice they tend to be much pricier than CFLs and incandescents. It’s important to know that LEDs can last anywhere from 8 to 25 times longer than incandescents, while only using 20%-25% of the energy. So, in the long run, LEDs do tend to be the more cost effective option, and if your true goal is to become more energy efficient, they simply can’t be beat. Another benefit of LEDs is that they don’t get hot. Because they’re just converting electricity to light, there’s no heat produced. That helps keep your home cool in the summer, and again helps reduce your energy use. In the end, both LEDs and CFLs are better options than incandescents. By replacing just 5 of the light bulbs your family uses most with Energy Star approved bulbs, you can save as much as $75 dollars a year. That might not sound like much, but think about how many lightbulbs are in your home, and how much you could save if you replaced them all. Obviously, the best way to save energy is not to use it. If you have trouble remembering to turn lights out, or if you want to use holiday lights but always forget to unplug them when you go to bed, timers can be a great help. Setting your lights on a timer can help you conserve energy, as the timers can turn the lights out for you. Another great way to conserve the amount of energy you use with your lights is to set them up on a motion sensor. That way, lights will automatically turn off when you’re out of the room, and turn back on as you enter. The only issue here is if you have active pets. Roaming pups and curious cats will trip the motion sensors even when you’re not home. Light dimmers can also be used to reduce how much energy you’re using to light your home. Sometimes, you don’t need the lights on full blare — like when you’re watching TV with the family. For times like those, it’s handy to have a dimmer set up, so you can still have enough light to see, but not so much that you’re consuming more energy than you need. 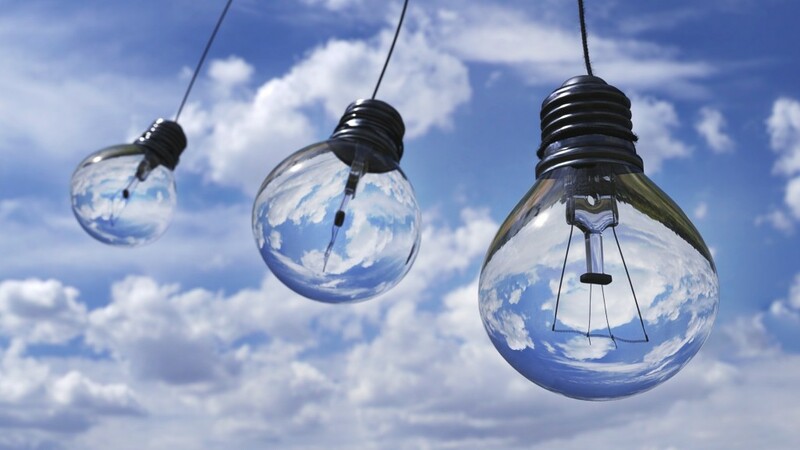 Finally, if you’re just building a home and hoping to make it as energy efficient as possible, there are a few tricks to taking advantage of natural light in a way that will reduce the amount of energy you need to use to light your home. Where your windows are placed matters. Talk to your builder for in-depth information, but know that windows can have a major impact on the energy efficiency of your home. Windows placed on the south side of the home can let in a ton of light, but they can also make the home a little warmer. If you’re looking for energy efficient lighting, your builder will be able to tell you where to place windows for more natural light. Skylights and sky tunnels are also a great way to light your home naturally. They let in a ton of light, and can brighten up spots in the middle of the home that would otherwise not receive much natural light. Sky tunnels are perfect for small, dark areas like hallways, because from the inside they just look like a recessed can light, but they let in sunshine from the outdoors to even the smallest spaces. These days, it’s easier than you’d think to make your home energy efficient. And it’s profitable too! There are a number of tax benefits for building Energy Star certified homes, plus insurance companies are starting to offer certain promotions to those with energy efficient homes. If you’re looking to build a new, energy efficient home, or if you’ve recently made energy efficient improvements to your house, talk to the experts at Doyle and Ogden about what insurance benefits you might qualify for. We’re here to provide you with the best coverage for the right price, and we’d be happy to help! Call our office at 616-949-9000 or contact us online today for a free quote.